Here's some goodies we spotted at DCon we wanted to get, but had already spent too much money, so we didn't. 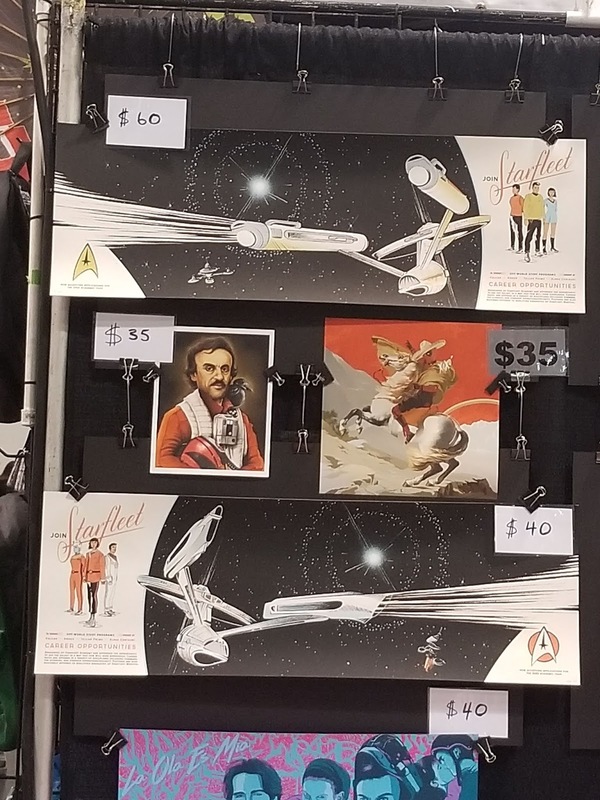 We already posted on these tees in the main post on DCon, but we want them so bad. The shirts feature all the Dragon Ball ladies from Native Gold. We would have got it, but it sold out of pink. It's not yule tide with out killing younglins, wait that's pretty bad. 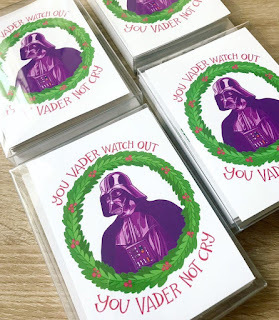 Eh, Vader Christmas card, you can't go wrong with them.